The release of Raspberry PI 3A+ is a good host for a mini level system due to it’s powerfully 4 x 64 bit CPU, but as the RPI itself do not contain any com connectors we need to use an adapter card. I decided to try ESP32 because that makes it dual purpose. 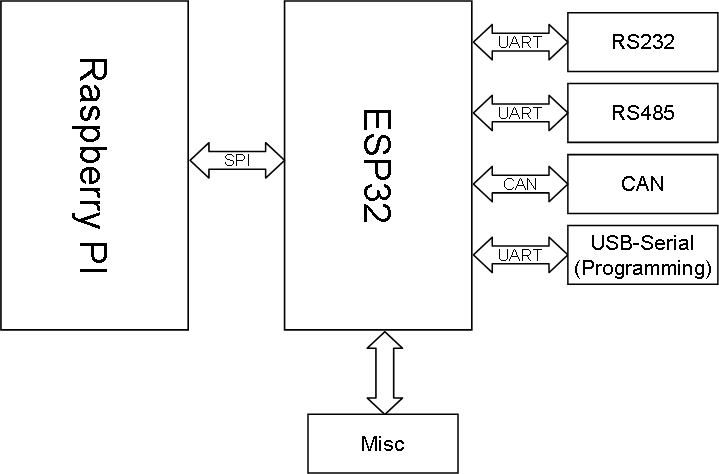 ESP32 can act stand-alone using it’s own Wifi or just gateway to Raspberry PI for more power and to enable a RS232, RS485 and CAN port. 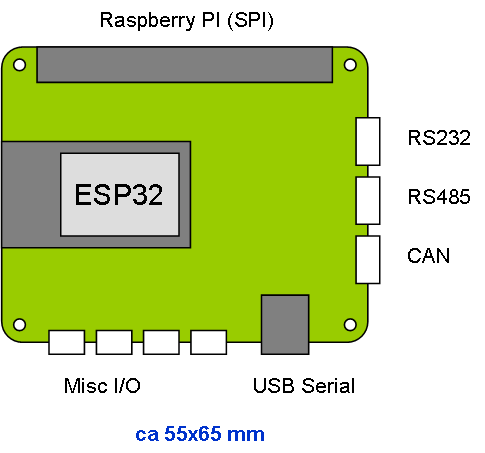 I use the GPIO and SPI port to communicate with Raspberry PI and CAN or RS485 for the rest of the network – or I just use the ESP32 as host for lower cost – depending on Application.